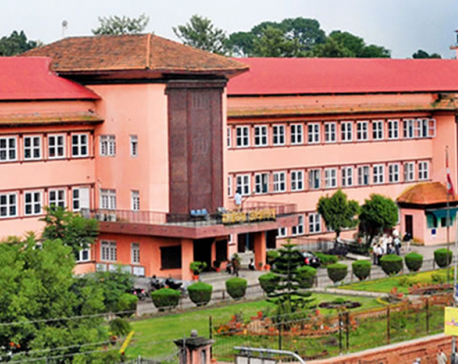 KATHMANDU, May 28: The Supreme Court has upheld the decision of the Tribhuvan University (TU) to fix Rs 2.2 million as the fee for the MD (Medicinae Doctor), MS (Master of Surgery) and MDS (Master of Dental Surgery) courses in TU-affiliated medical colleges. KATHMANDU, Dec 16: Winter cold has set in, in the entire country including the Kathmandu Valley, with the fall in the temperature. KATHMANDU, July 25: The eighth senate of Lumbini Buddhist University has endorsed the master-plan of the university during a meeting held at the Prime Minister's Office in Kathmandu on Monday. The formulation and adoption of the master-plan was long due at the university. Actor Denzel Washington proved once again that he's absolutely 'unstoppable', receiving an honorary degree from the University of Pennsylvania. KATHMANDU, Feb 3: Temperatures will increase by 1-2 degrees on average each year in the Hindu Kush Himalaya (HKH) region including Nepal after the year 2050 and by 3-4 degrees in some of the higher altitude areas in the region, it is shown by four years of rigorous scientific research on climate and the water scenario. 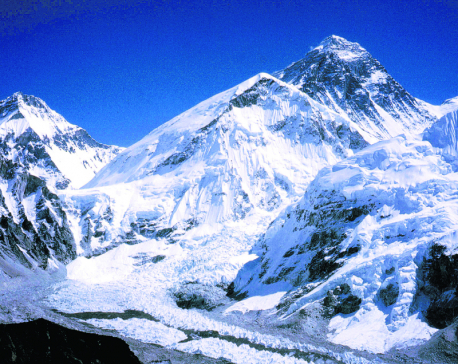 KATHMANDU, Jan 14: Nepal is making preparation to offer university degrees in mountaineering very soon. 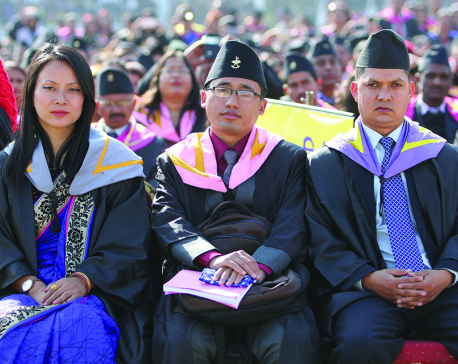 KATHMANDU, Nov 25: The Commission for the Investigation of Abuse of Authority (CIAA) has filed a lawsuit against Chief Investigation Officer (CIO) with the National Investigation Department Sohan Kumar Rauniyar on the charge of possessing fake academic certificates.